Marc Jacobs have done it again. They've released yet another gorgeous fragrance to expand their collection. This time, it's a more vibrant spin-off of the fragrance 'Daisy' that - since it's release way back in 2007 - has become an iconic scent. 'Daisy Delight' is a limited edition fragrance for the Summer, which first hit stores back in February along with the 'Daisy Eau So Fresh'. I spotted it at Heathrow Duty Free back in July and after just one sniff, I just couldn't resist taking it home. 'Daisy Delight' is a slightly lighter and fruitier scent than the original, although the floral notes in this fragrance are still clear. This makes it perfect for the spring and summer months, but I also think I'll continue to wear it going in Autumn. It contains top notes of apple, quince and freesia, heart notes of iris, gardenia and peony, and base notes of musk, cedar and sandalwood. I absolutely adore this scent, it's everything I personally look for in a fragrance. Fragrances are such a tricky product to review, what with everyone's personal scent preferences being so different, so I'd definitely recommend popping to your local department store or perfume shop to see what you think. I'm a sucker for a Marc Jacobs perfume bottle and with this one I definitely wasn't disappointed. The fragrance has been poured into the signature Daisy bottle, but it now contains stunning shades of pink, magenta and turquoise. It just looks darling on my dressing table! 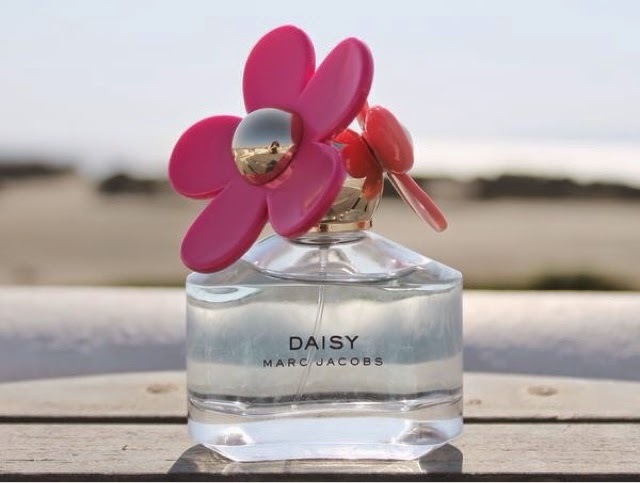 As usual with Marc Jacobs' fragrances, Daisy Delight isn't the cheapest perfume on the market. And I always find myself spritzing it a lot, so I know it won't last forever. But it truly is a gorgeous scent so it's well worth parting with your pennies. The fragrance retails at £44.50, but you can currently purchase it online at Boots for just under £30. I may just have to treat myself to another bottle!